Okay – I have zero props. I also have zero clue as to what took me so long to do a doughnut round up for you. I mean, blog name??? But here we are. And here we go. By now you ALL know how much I love doughnuts. I will go near and far to sample the latest, and though I consider myself to be fairly disciplined, I am helpless in the face of pretty much any kind of doughnut. 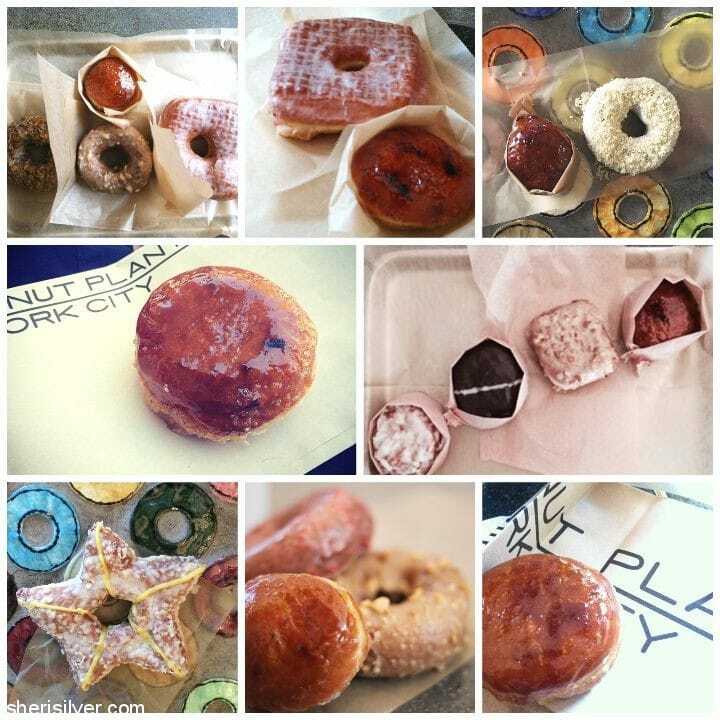 And yes, I have done my share of individual posts on doughnut shops that I know and love (hello, Underwest, Dun-well and Doughnut Plant – how I love you guys SO!). But if you follow me on Instagram you KNOW that there’s more. So. Much. More. So here they are, my absolute faves, from all across the tri-state. And much like my ice cream and candy round-ups, it’s by no means scientific, definitive or all-inclusive. And you can believe that as I root out more I will add them right here. But for now, and without further ado (all photos from Instagram)….. The Deal: It’s a doughnut shop. In a car wash. Scratch that. An AMAZING doughnut shop. 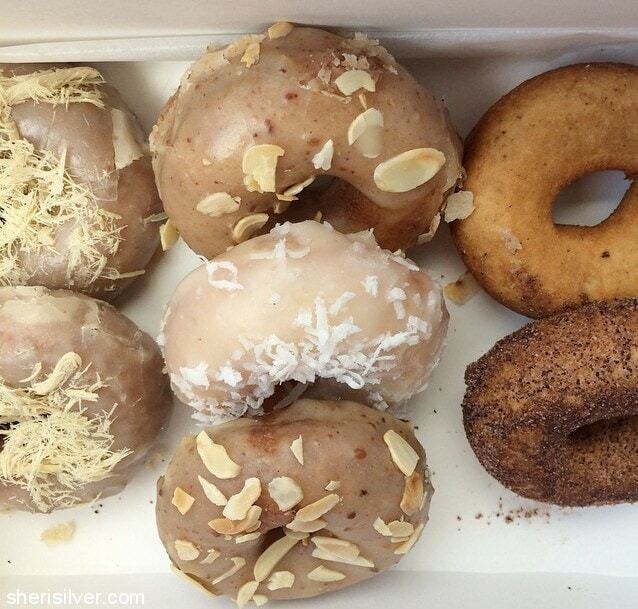 The Deal: NYC’s first all-vegan doughnut shop. But you’d never know it. Fresh, locally sourced ingredients and an ever-changing menu mean multiple trips throughout the year. For research. The Deal: One of the originals. Innovator of the square-filled jelly and creme brulee doughnuts. The Deal: Small batch, handcrafted yeast doughnuts with unusual glazes and toppings like the “Everything” doughnut. 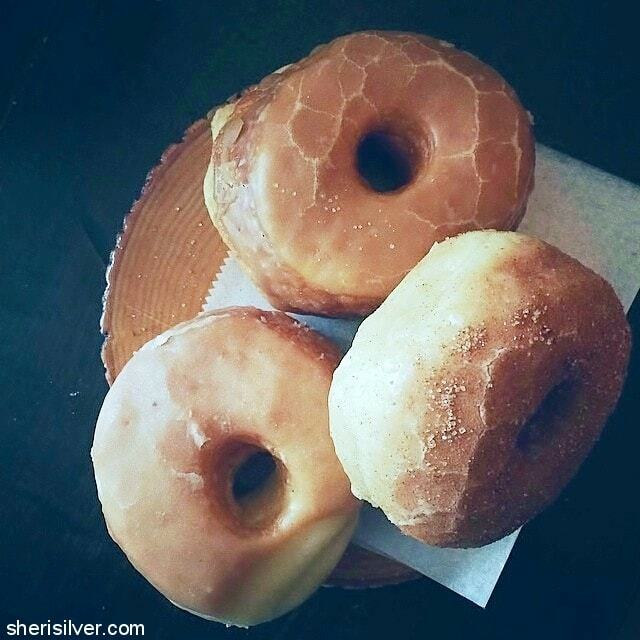 The Deal: Old school doughnut shop, dating back to the ’60’s. All your favorites. 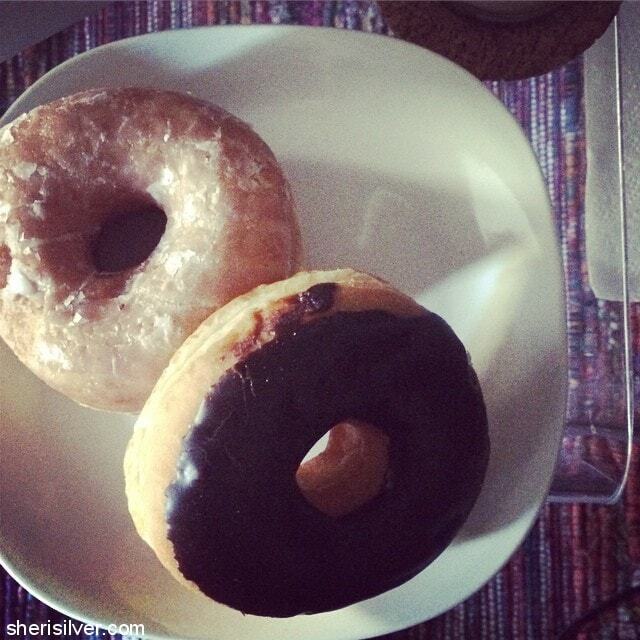 The Deal: I’ve not been to the bakery, I discovered these doughnuts at the charming Brooklyn Farmacy. But I “sampled” enough to confirm that their place on pretty much every “Best Doughnuts in NYC” list is well-deserved. 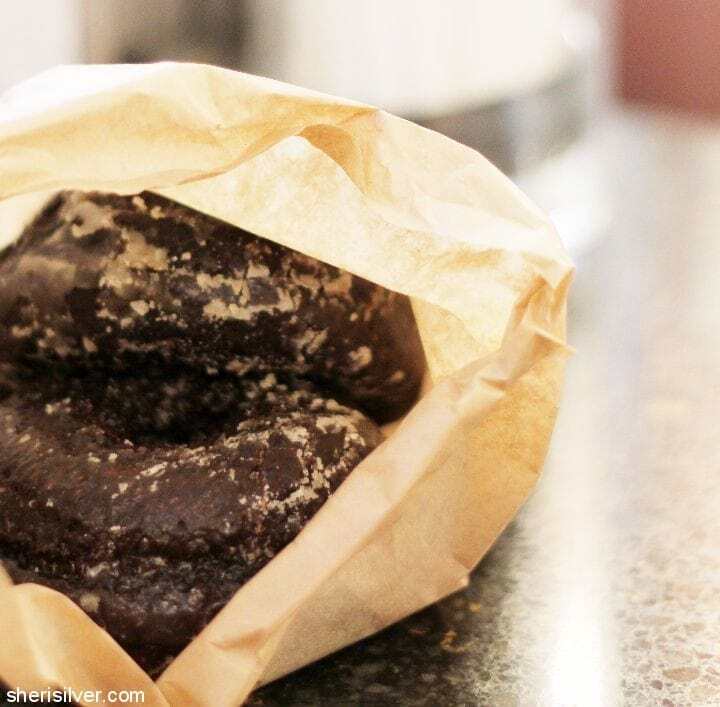 The Love: If, like me, you agree that a solid chocolate cake doughnut is hard to come by? Your search ends here. The Deal: This bakery has been making filled-to-order doughnuts (using fresh, locally-sourced jam) for more than 100 years. The Love: When the goods are this fresh I keep it simple. And glazed. These last two shops are outside the NYC area – but if you’re willing to trek to the wild and wooly burbs you will be well-rewarded. 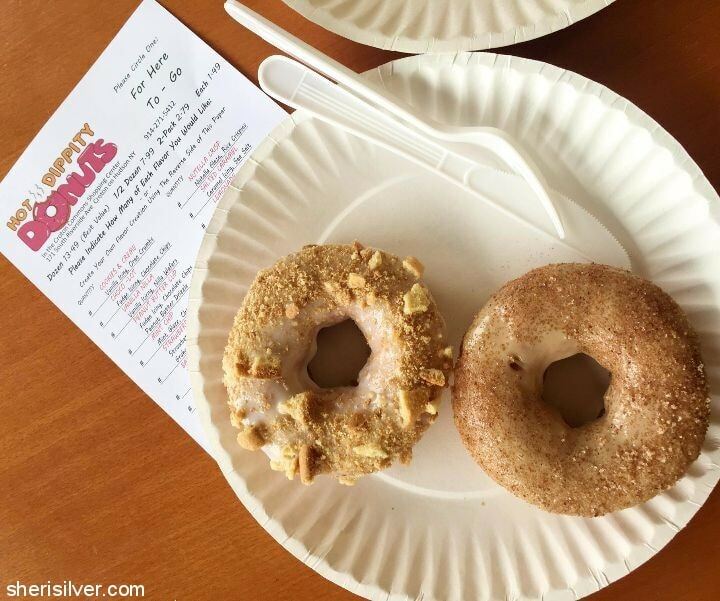 The Deal: Located in a bagel shop in a generic strip mall in Croton-on-Hudson, made to order cake doughnuts are finished with glaze and topping selections reaching froyo shop levels. 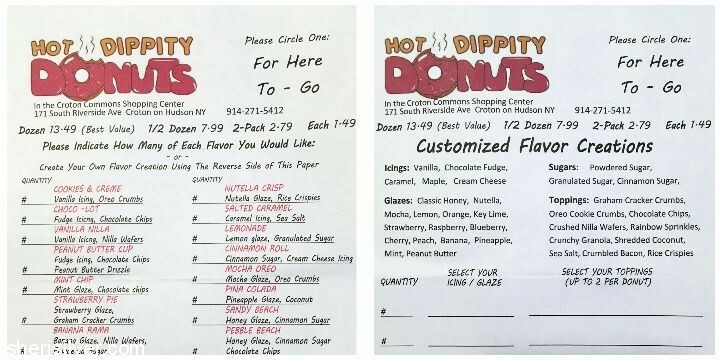 Create your own doughnut or choose from the “recommended” combinations. 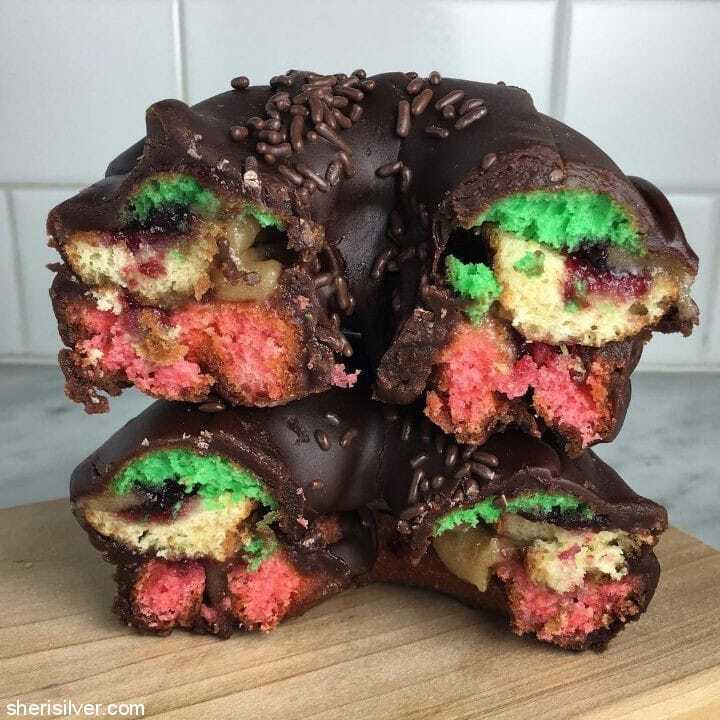 The Deal: Also located in a strip mall (this one in New Jersey), high-quality ingredients go into these doughnuts, which are made in small batches throughout the day. Okay – give it to me. Who did I leave out? 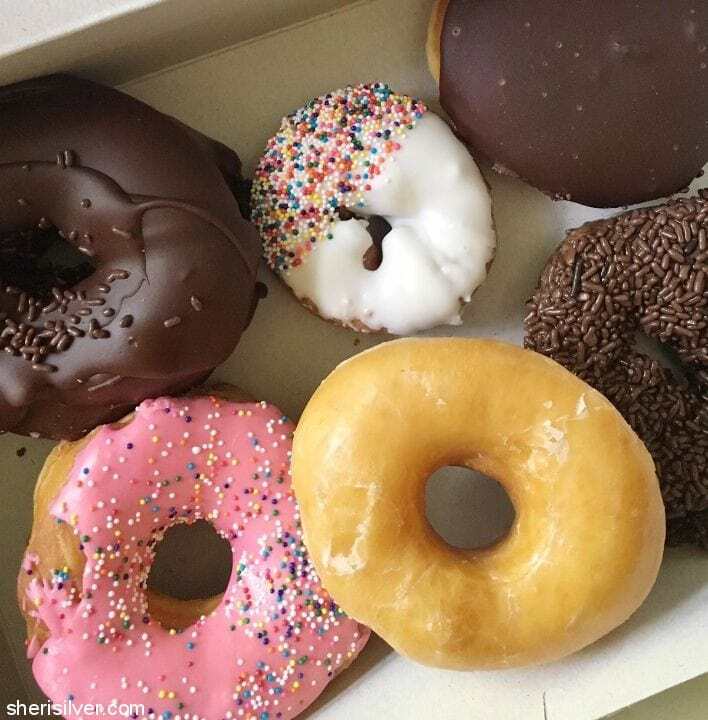 What doughnut have I NOT have, yet MUST? I gained four pounds reading your post. 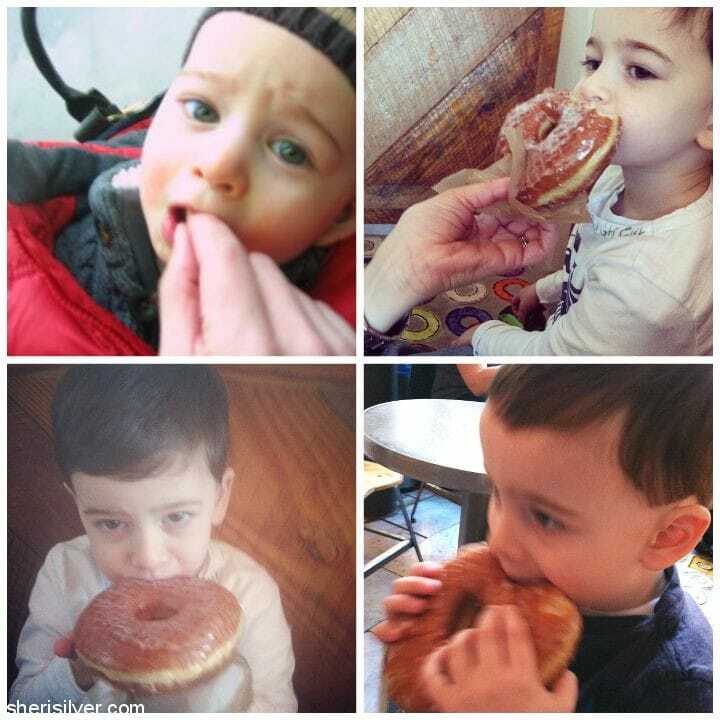 Doughnut Plant is just down the block from my sons’ apartment and I have NEVER EVER tasted anything so heavenly in all my life! I KNOW! What’s your fave? 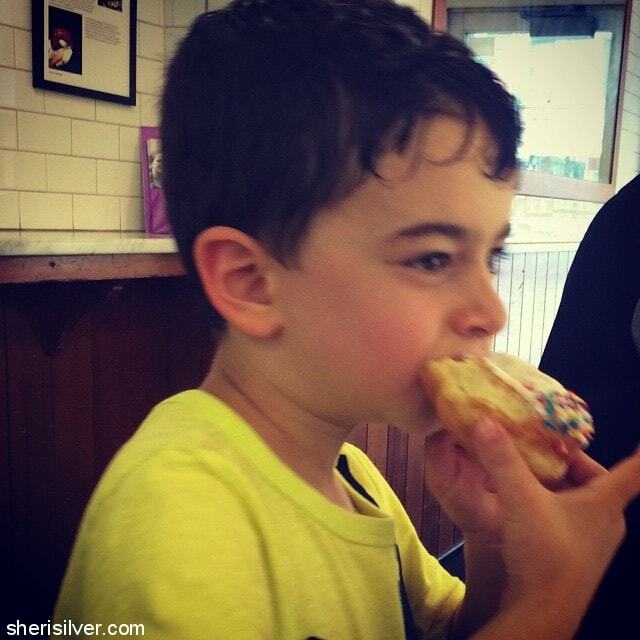 I loooovvvve doughnuts. Thanks for torturing me. And the pictures of Noah, hysterical. Hello! I was a little surprised I didn’t see Dough donuts on the list. 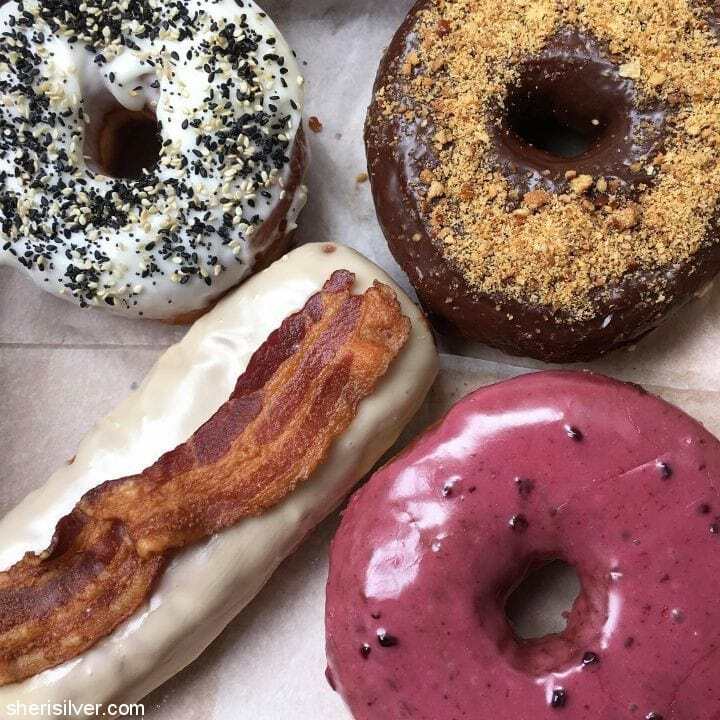 Dough’s donuts are yeast donuts with the most delicious curated flavors like, chocolate earl grey, dulce de leche almonds, hibiscus, lemon poppy, toasted coconut, passion fruit and for the more adventurous palette, they rotate flavors like matcha sugar, horchata and alfajor, to name a few. The original location is in Clinton Hill Brooklyn and they recently opened a second location in the Flatiron district. I highly recommend Dough to any donut connoisseur! Thanks for writing – I actually HAVE sampled Dough. Many times. I’m sadly not a fan (I know, I KNOW!! ), which is why it was not on the list!